On June 10, 2015, the United Nations Committee on the Rights of the Child (CRC) recommended that Mexico end the detention of migrant children and instead establish community-based shelters for them. The recommendation came as part of the CRC’s Concluding observations on the combined 4th and 5th periodic reports of Mexico, and is clear regarding the need to place unaccompanied migrant children in community shelters and accompanied migrant children in appropriate facilities that ensure freedom of movement and family unity. The CRC also asserted that the Protocol for Attending Migrant Children in Shelters that is being developed by the State’s family welfare system (DIF) should be effectively implemented and regularly reviewed. The CRC expressed serious concern about migrant children being kept in detention centers and reports of abuse of violence against children in those centers. They also highlighted concerns regarding the lack of a procedure to determine the best interests of the child, as well as a lack of adequate measures to identify, assist and protect migrant children, according to their individual needs. (See paragraphs 57 and 59). 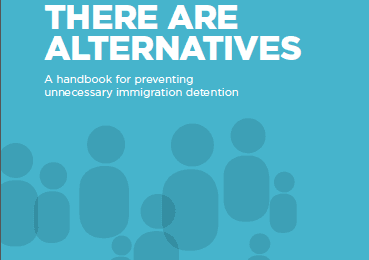 Ensure that all relevant professionals working with or for migrant children are adequately trained and speak their native language, in particular border and immigration personnel, social workers, defense lawyers, guardians and police (See paragraphs 58 and 60). These recommendations reflect the CRC’s observations regarding the child rights situation in Mexico and were formed in response to the periodic reports submitted by the Mexican government in which they present the advances in the protection of child rights, as established by the Convention on the Rights of the Child. The Mexican government responded to the Committee’s observations with a promise to ‘immediately follow-up on the recommendations by creating an inter-institutional working group that would include State authorities, legislative representatives and civil society’ (See press release below). 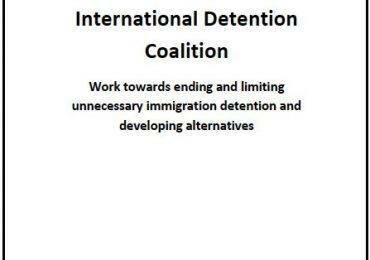 IDC members and partners sincerely hope that Mexico will take the Committee’s recommendations seriously and we reiterate our interest and willingness to collaborate with Mexican government and civil society to develop and implement alternatives to dentition for migrant children.